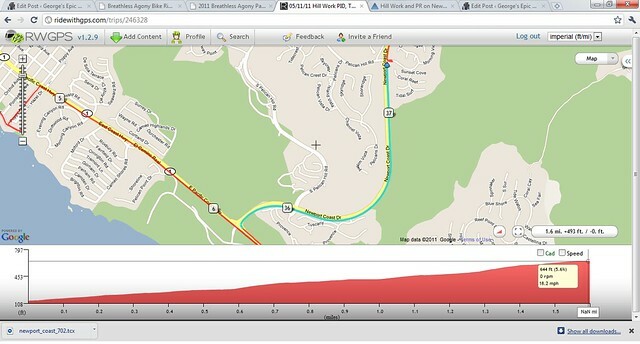 On the tail-end of today’s 3 hour hill workout I PR’d on Newport Coast Drive– 7:02. 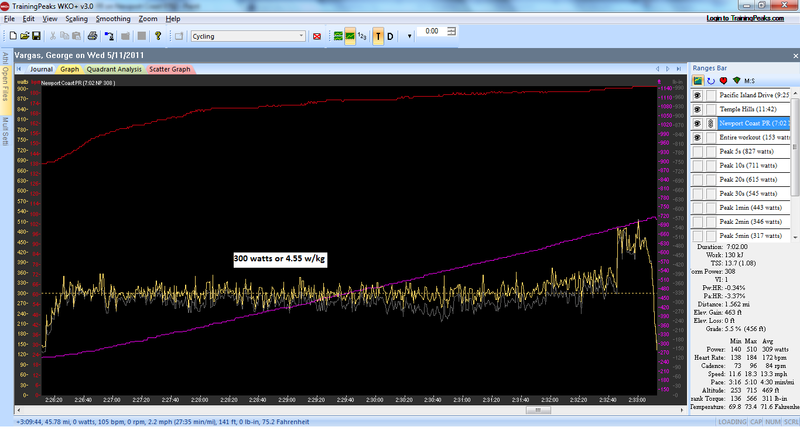 I started my climb at 4.5 w/kg and held it. I’m quite happy with a 19 second improvement from April 22nd time of 7:21. 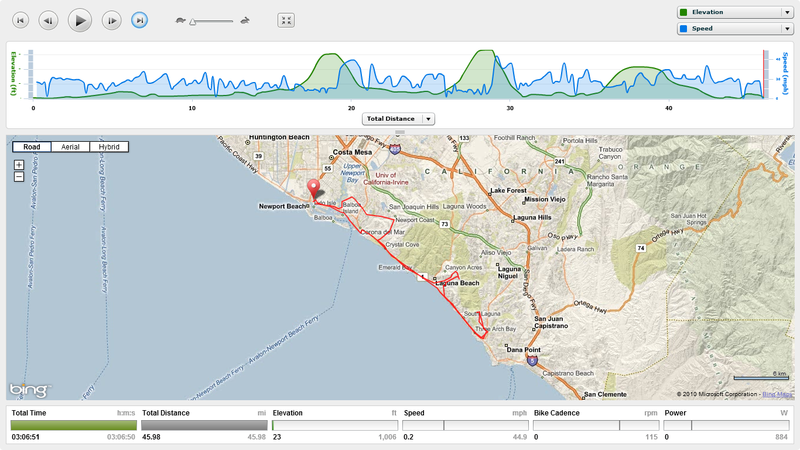 The other climbs today were Pacific Island Drive (9:25) in Dana Point and Temple Hills (11:42) in Laguna both seated climbs in my 39×23. On Newport I climbed in my 39×21 and felt fine. So now the question is are the CVAC sessions at Luna Health and Welness in Newport Beach paying off? Next goal sub 7 minutes! 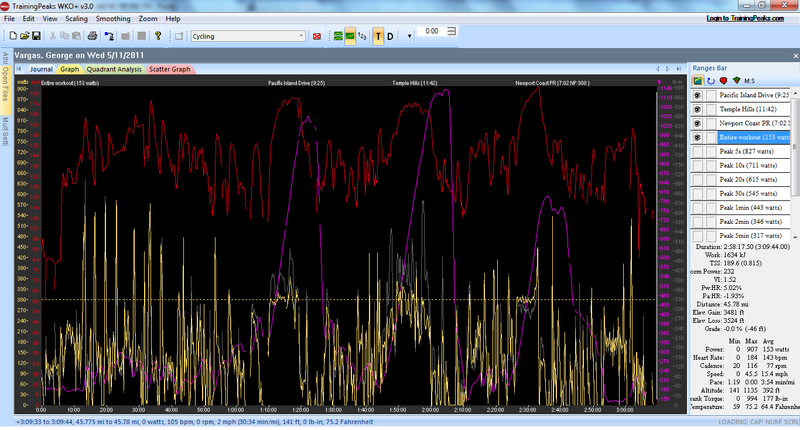 nice steady effort with a solid push to end it. Good work!